Cover Front: Catalog number and Stereo upper left corner. 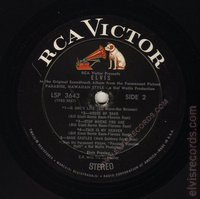 RCA Victor with dog upper right corner. Disc: (1966) Stereo. Black label, RCA logo is white, other label print is silver. 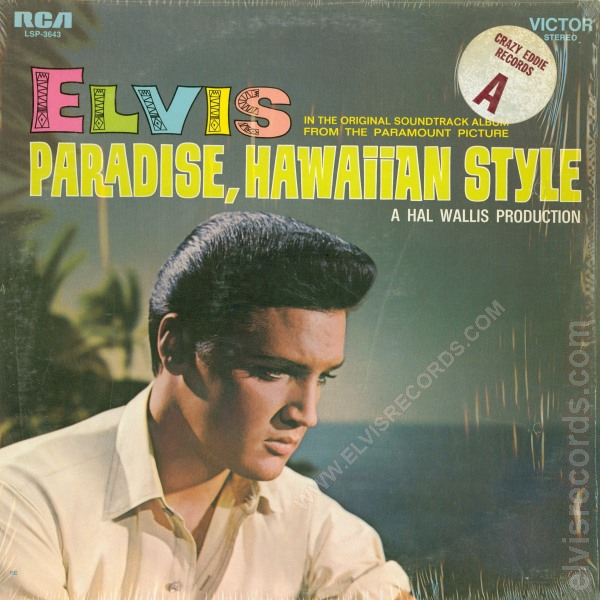 Only PARADISE, HAWAIIAN STYLE and Elvis Presley above spindle hole. 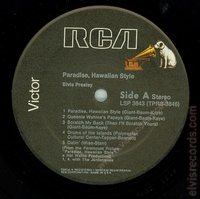 Font layout in a "v" pattern. 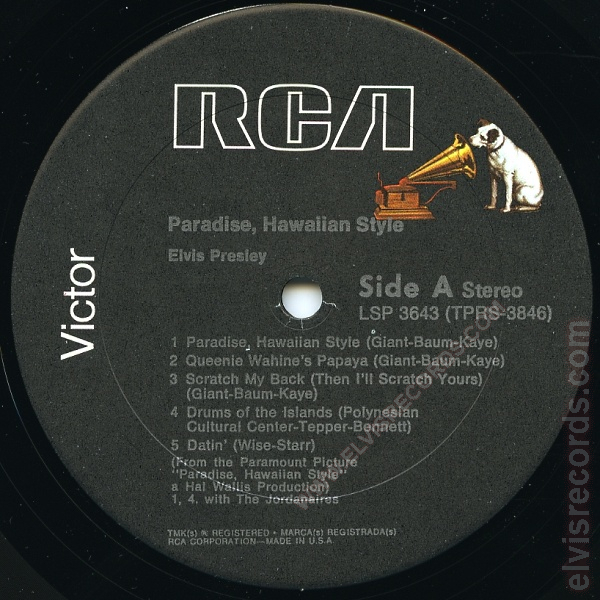 Disc: (1966) Stereo. Black label, RCA logo is white, other label print is silver. 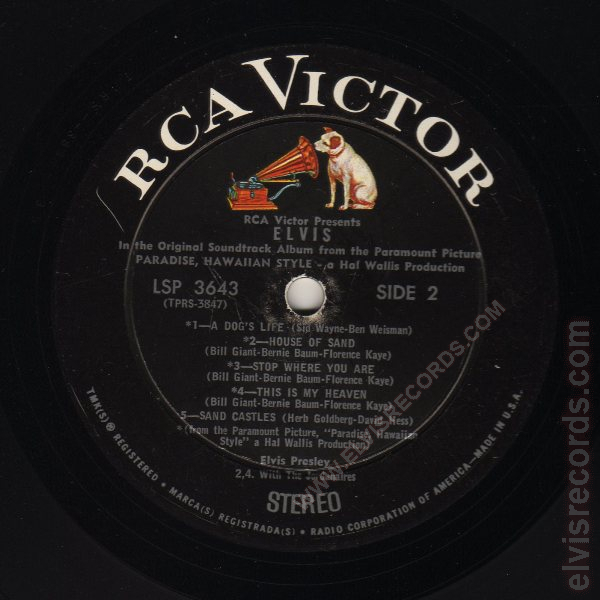 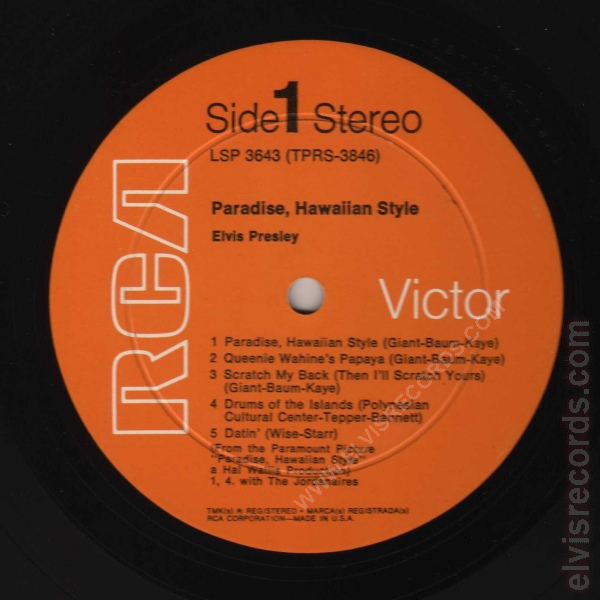 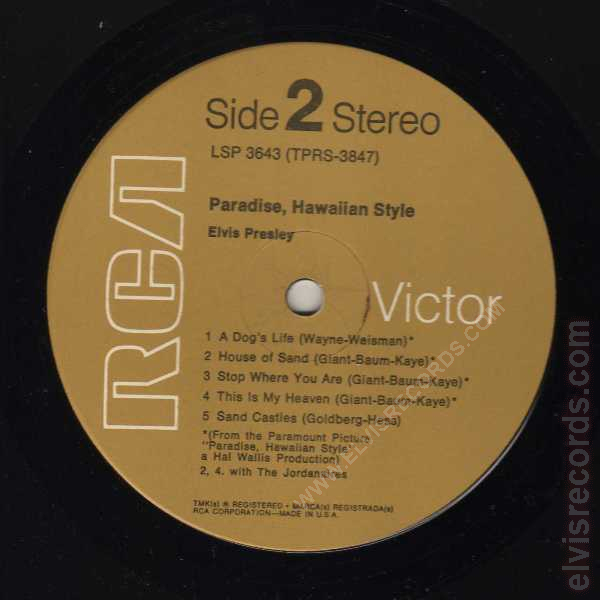 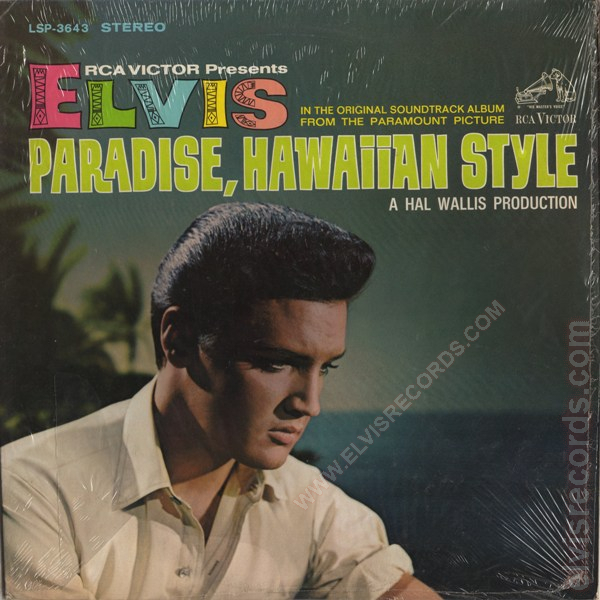 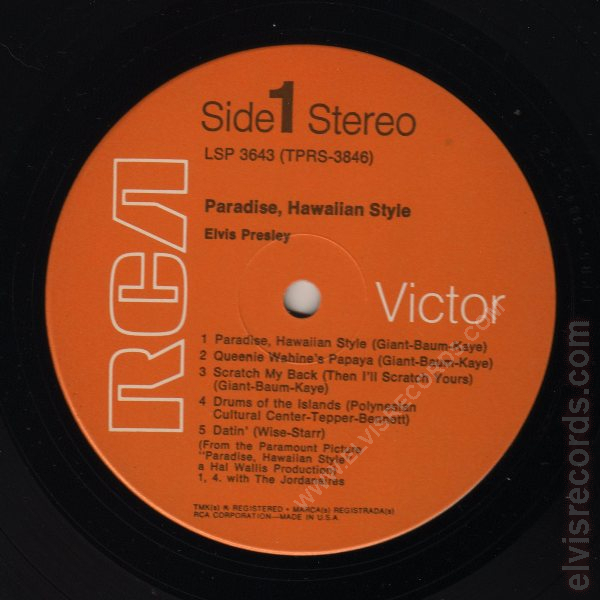 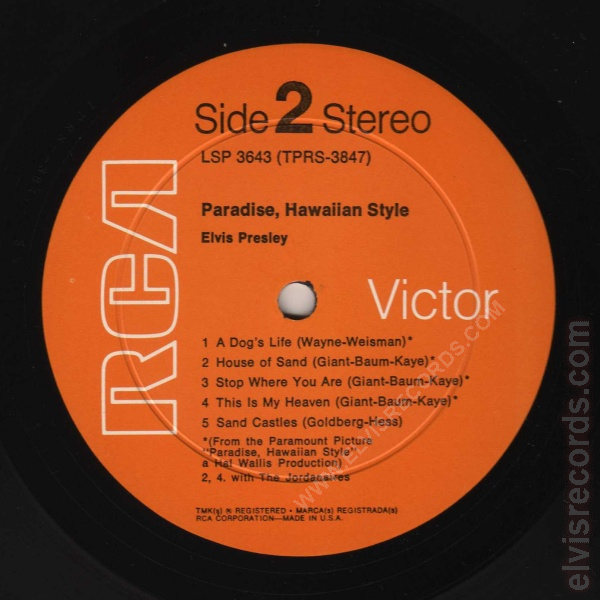 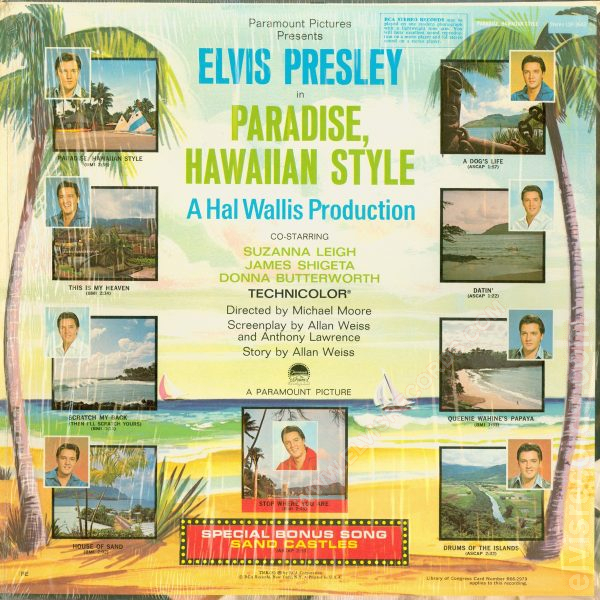 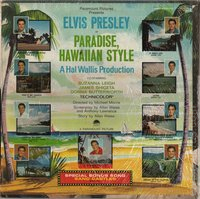 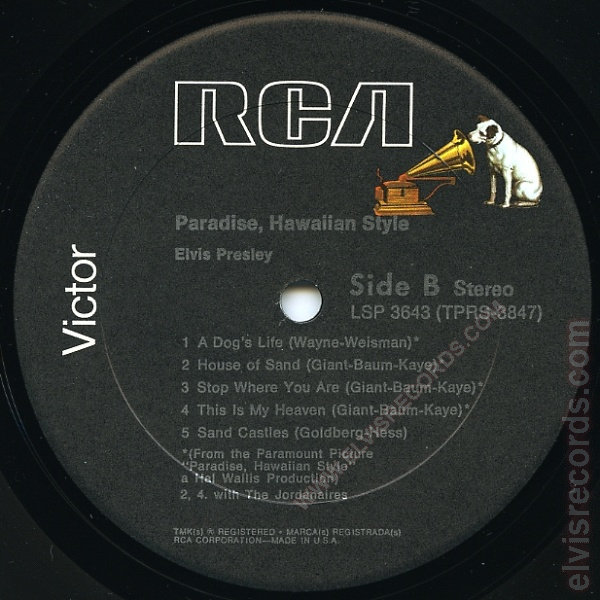 RCA Victor Presents Elvis In The Original Soundtrack Album from the Paramount Picture PARADISE, HAWAIIAN STYLE - a Hal Wallis Production above spindle hole. Font layout in a box pattern. Cover Front: RCA and catalog number upper left corner. Victor and Stereo upper right corner. 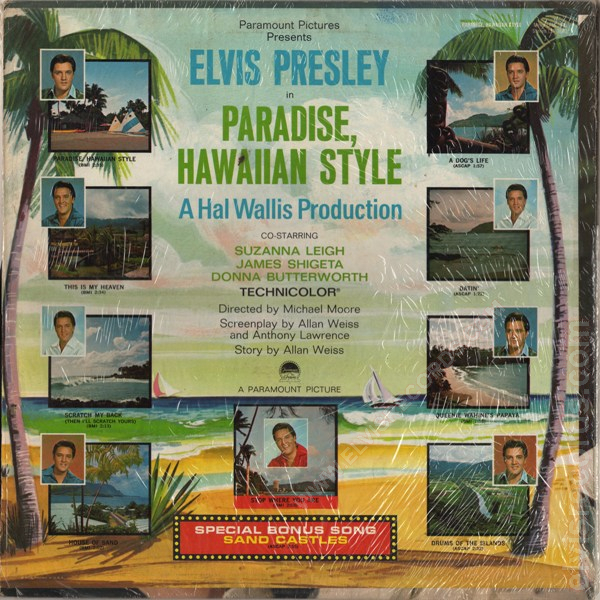 RE lower left corner. Cover Back: Catalog number upper right corner. 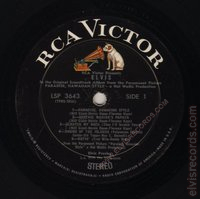 RCA Stereo Records statement in box upper right corner. Copyright bottom center. 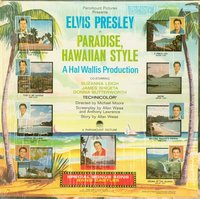 RE lower left corner. 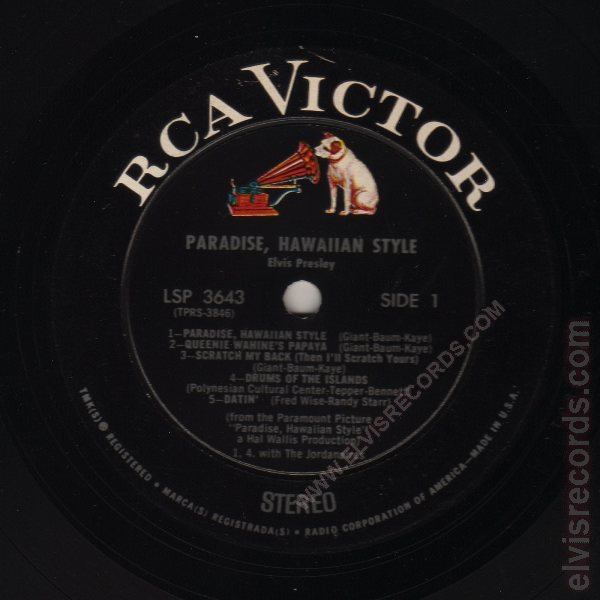 Library of Congress Card number lower right corner. 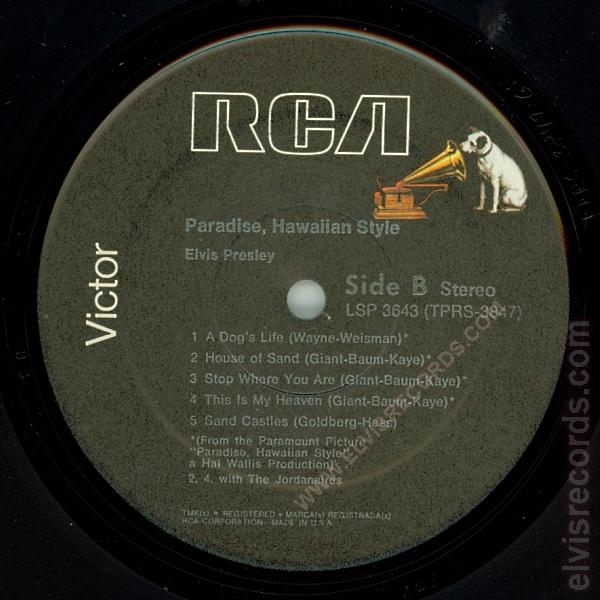 Disc: (1977) Black label, dog near top. 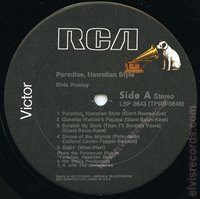 Ribbed label. 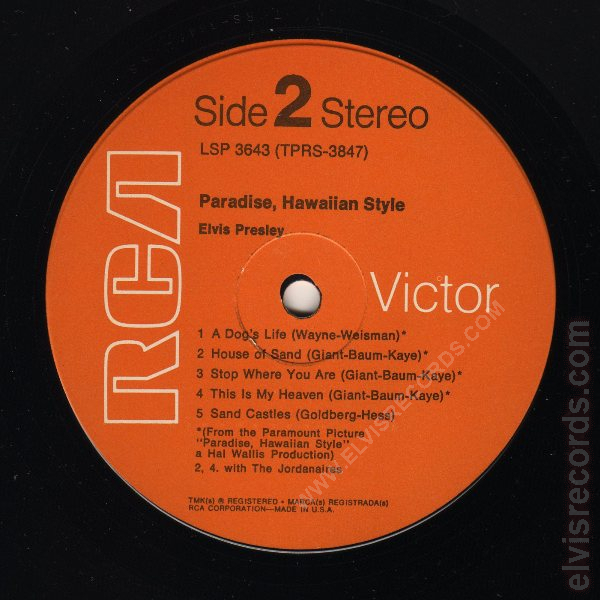 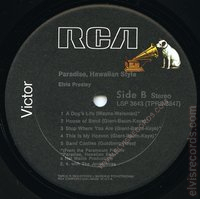 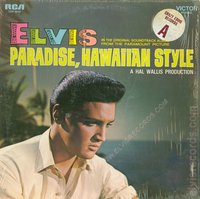 Also released in monaural as LPM-3643 Paradise, Hawaiian Style and re-released as AFL1-3643 Paradise, Hawaiian Style.